In my family we’re serious students of Harry Potter so it was only natural to have a Harry Potter Dinner party! Now, word of warning…this post is extremely picture heavy so grab a stein of butterbeer. You’ll be here a while. The first thing my guests came into was the potion station. A tiny bit late getting this up but Dr Seuss’s birthday is one of my favorite days! I love all his books so much. As a baby shower gift my mom got me almost the entire collect as board books so they’ve been read often with my 2.5. I was trying to decide which book to base this year’s little birthday celebration when I saw the Horton Hears a Who movie on TV. My daughter LOVED it, we watched it twice…in a row…so I knew that our theme had been found. Today was filled with Monsters! In the afternoon we had a Monsters University Party. 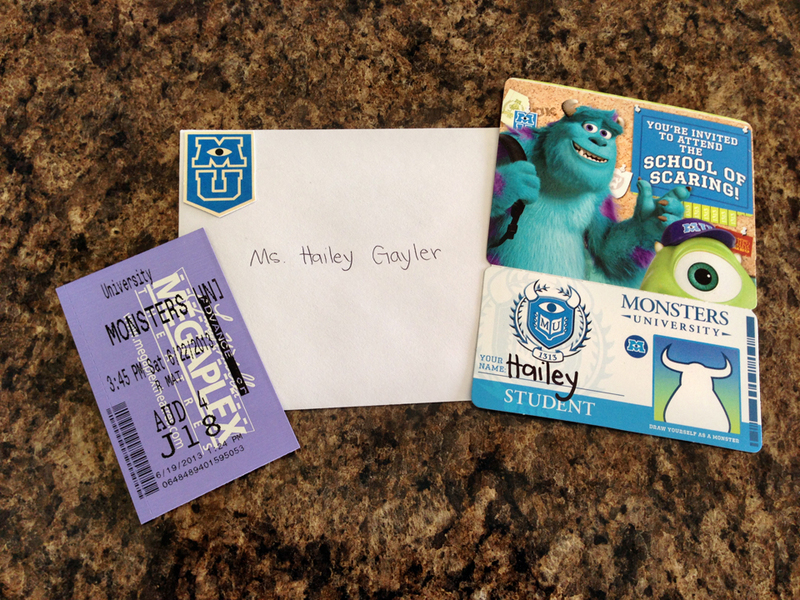 This was the school package everyone got in the mail congratulating them on being accepted to MU as well as their student ID card that allowed them to get into MU after the movie. Scott and I had a fun date last night. I put this in his car the night before, hanging on his mirror, as his invitation and hint of what we’d be doing. It was pretty easy to make, the balloon is plastic and I got it from Hobby Lobby as well as the basket that I just cut the handles off and sewed string into the basket and attached it to the balloon. Then I got scrapbook material for the decorations and glitter for the letters. 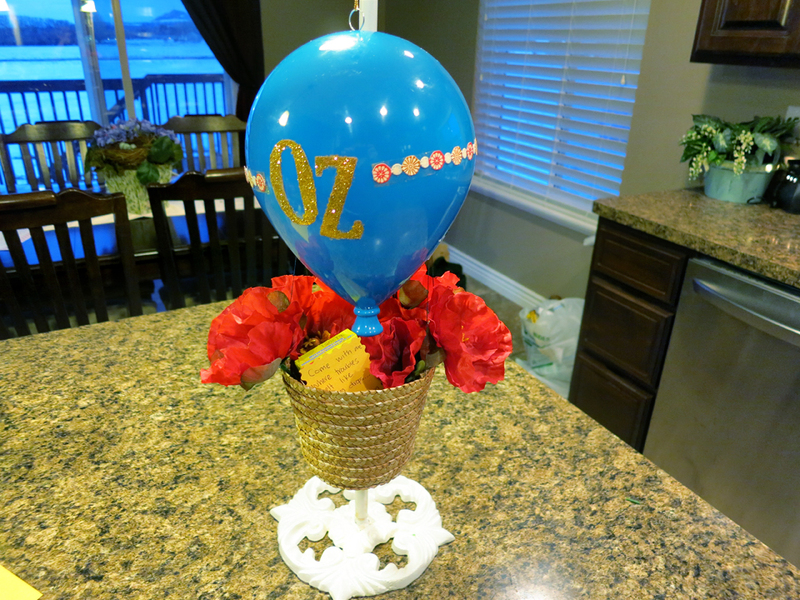 And because no Wizard of Oz theme would be complete without Poppies…I got those at Hobby Lobby too.